The end of the year is creeping up on us! Too quickly if you ask me, but anyways… With the end of a year and looking forward to a clean slate in 2018, I thought I would compile a list of things to get done before the year is up, that way you can go into the new year all shiny and new! Throughout the year, things pile up and with the slow down during November and December it’s a good time to get those things cleared and out of the way, so that you can begin the new year without it hanging over your head. 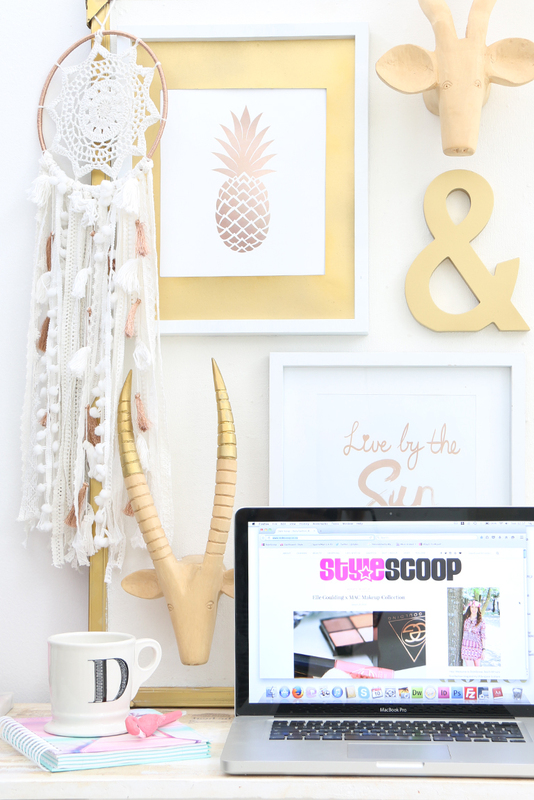 If you’re a longtime reader of StyleScoop, you know just how OCD I am when it comes to organisation – especially with my closet. Believe me when I tell you, it was not always the case. 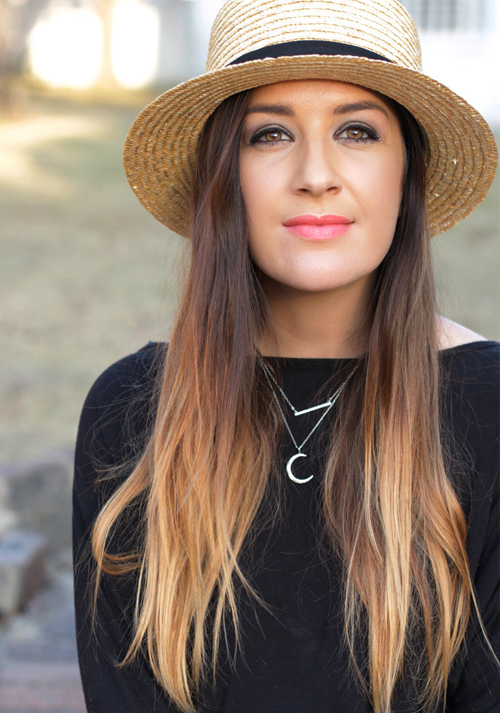 I used to be a full on hoarder, until I realised how freeing it was to sort out my wardrobe, my clothes, my shoes, my makeup and keep only the things I actually use. Over the years my closet has seen many transformations; from my very first one in our Durban home, which later got an update to a cleaner and clutter free space, to my current one in our Jozi house. As with each closet mod, I’ve moved things around, gotten rid of old clothes and organized my stuff in a way that makes sense to me. That way I only keep items that I use, I wear and ones that I love. Funny enough I don’t feel the need to have a billion items of clothing, because I’ve established what I like to wear and what suits me, and I only ever replenish something when it’s been worn to death. You can check out my closet posts that might give you some ideas on how to organize your stuff and when you get into the part of getting rid of stuff, check out my Spring Cleaning Your Closet post that will show you how to be smart and ruthless when deciding on what you do and don’t need, even how to sell your used items online. One of the most frustrating things for me is the amount of emails and message notifications that just keep piling up. No matter how many times I click on the “mark all messages as read” option, the notifications just keep filling up again. Thankfully, these slow down towards the end of the year, making it a great time to take charge and tackle your inbox. Go through your inbox and unsubscribe from all mailing lists that annoy you. Set rules to categorize your mail so that you only get notifications you want. The use of email in our lives has no doubt been a blessing, but it’s also become too much, too invasive and often too demanding. I used to have notifications set up on my phone, which meant I would spend every minute of the day (and night) getting notifications. I disabled email notifications from my phone, so now I only get emails when I sit behind my desk and when I am in work mode during office hours to reply to emails or read them. Makeup and beauty products… can we ever have enough? Even before I was a Beauty Blogger, I always had a thing for makeup and beauty products. Lots and lots of makeup and beauty products. I would just buy and buy and buy! Don’t get me wrong, it’s cool to have a beauty collection that consists of everything you would and could ever need, but when was the last time you went through your makeup and beauty products and got rid of old, yucky products that you’ve outgrown or have outgrown you? Now is the perfect time to take on this task! Unless you wan’t to be swimming in a sea of beauty products, rather than climbing into everything at once, start organizing in batches. Makeup, hair products, nail polishes, skincare etc. For my tips, I’m going to focus on makeup, but you can apply this same process to all your beauty products. 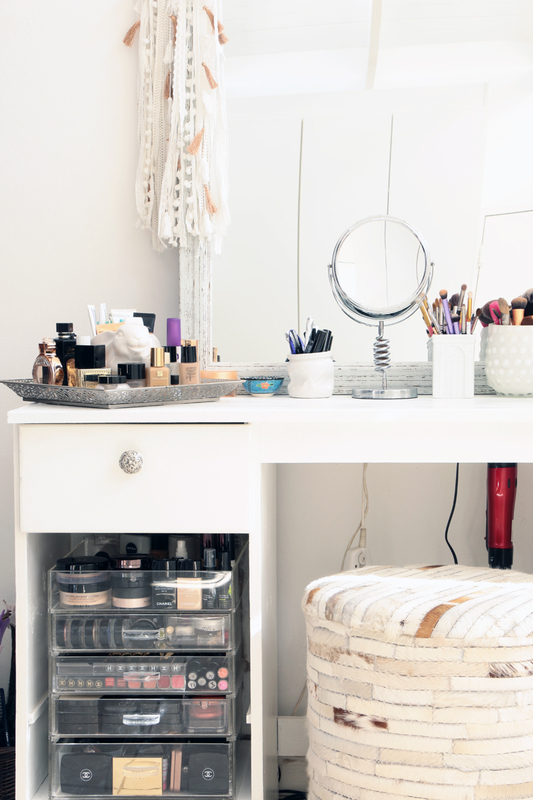 Take all your makeup products and lay them out on the floor in front of you. Dig into your handbag, glove compartments, jackets and other places you might have stuffed makeup and bring it all out so that you can see it. Once you have it in front of you, group things into makeup you wear and makeup you don’t. If you’re holding onto a special lipstick because you wore it on your first date but it’s gross and doesn’t suit you anymore – toss it! Broken makeup is also a messy situation, so if you can’t repair something – get rid of it. If something is expired and you know it doesn’t apply as it once did, it’s time to let it go! Once you’ve got your two piles of makeup I like/ wear and makeup I don’t want it’s time to move onto the next step. With the makeup you like or wear, open each item up and check that it’s still decent. That favourite eyeshadow of yours might still look pretty but if its lost its pigment (it happens), it’s pointless keeping it. Toss it! Liquid liners and cream shadows can also dry up, so if something isn’t working anymore, clear it out of your space. Mascaras are another thing to focus on. If it’s old and clumpy and you’ve had it for years, it’s probably time to put it to rest! Now lipsticks are the easiest to keep in decent condition IMO. Just get yourself some isopropyl alcohol from the chemist and put it in a spray bottle. Then open your lipstick case, twist up your lipstick and spray it. Let it dry for about a minute, twist it back down and wipe off the case with a clean cloth. If your lipstick can be saved this way, then YAY, keep it. If it’s beyond cleaning or broken, you don’t need it anymore! Plus throwing out old lipstick and makeup is a good opportunity to explore new colours for the new year! Light at the end of the tunnel. Keep your makeup organised so that you have easy access to it and know what’s in your collection before impulsively buying more, more, more! This one can be a scary task, but trust me, it’s necessary! It definitely seems daunting, but it’s actually pretty easy to master and now is a good time to get on with it. Take everything out of your pantry and lay it out on the kitchen counter. Go through all the food labels and get rid of any expired food. Get yourself Tupperware containers or glass Consol jars to store all your foodstuff that comes in packets… Things like pasta, sugar, rice, flour etc. Once these are open from their packaging, they need to be sealed to prevent moisture and even dreaded weevils from ruining your food. Wipe down all your food items and make sure everything is sealed. Label each container, so you know exactly what’s what. 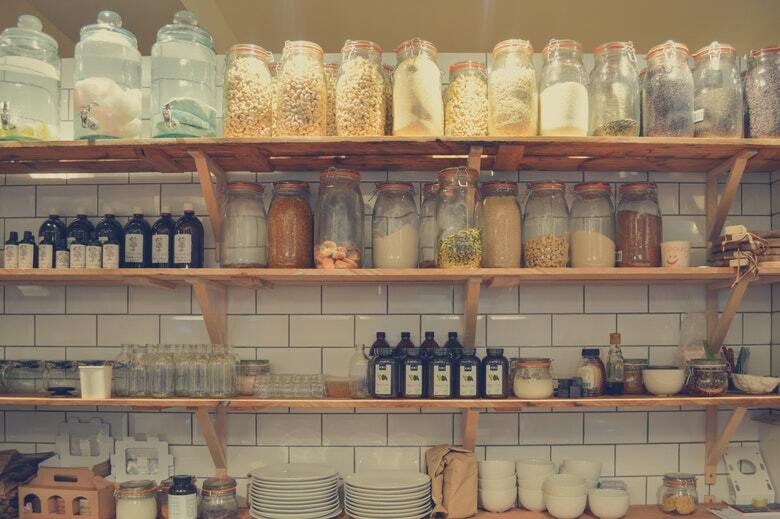 Before repacking your pantry, scrub down your shelves. I also like to spray my clean, empty shelves with a solution of hot water and tea tree oil. This helps discourage weevils from coming back and I quite love the smell of it. Plus it’s a natural disinfectant, so win win! I also spray some of the solution into the corners of the shelves and underneath and then wipe it down. Pack your pantry in a way that works for you. I don’t like to have mine too cluttered, I want to be able to see what’s inside. Assign a place for your food and try to stick with it. Another tip is to get a nice jar or bowl and fill it with bay leaves, then just let it sit on your pantry shelf. This again, helps to discourage weevils from getting in your food. Now is good time to look if you have any items that you’ve borrowed from friends and family throughout the year and return their things back to them. It’s easy to forget that you may have something that belongs to someone else, but even though they are not saying anything, doesn’t mean they don’t want it back. Think of any of your items that you may have loaned to your friends and family throughout the year and remind them about it. They too might have just forgotten to return it so don’t take it personally. Okay so those are my top 5 things to do before the year is up. If you have anything to add, or things you think are important to get done before the year ends, comment below and let me know.